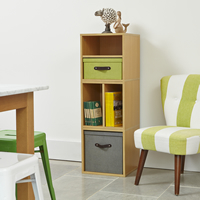 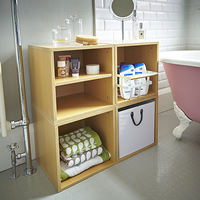 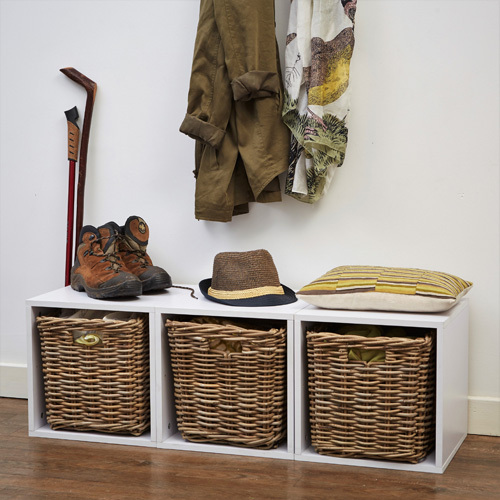 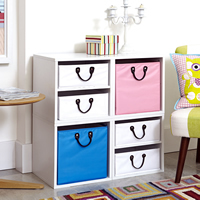 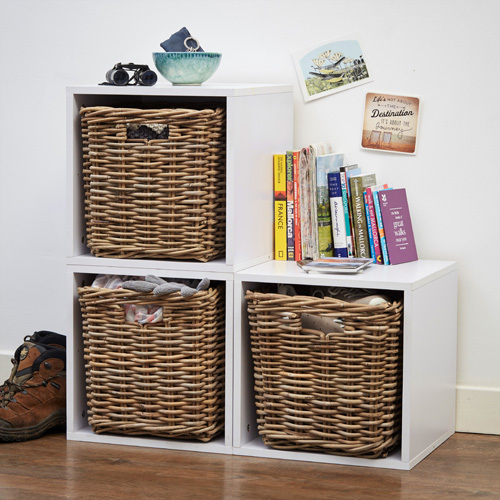 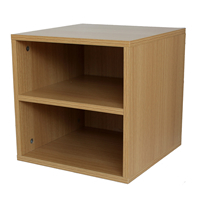 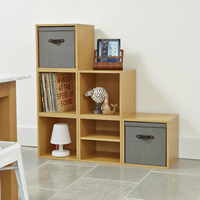 Our set of 3 white wood modular storage cubes make a great addition to any bedroom, living room or hallway. 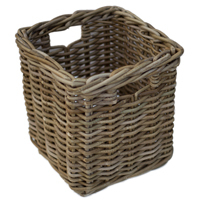 This set comes with three sturdy woven rattan storage baskets for storage. 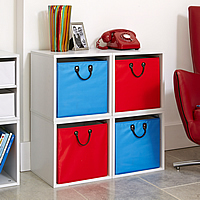 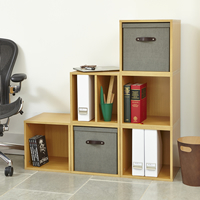 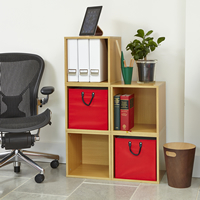 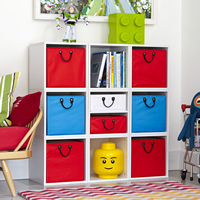 The cubes can be used either side by side or on top of each other as shown above and below to provide quirky type storage. 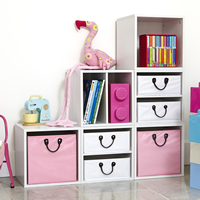 Once you have decided on your layout you need to secure the cubes to each other with the fixings provided.